"They really found me more than anything else," muses photographer Derek Ridgers. 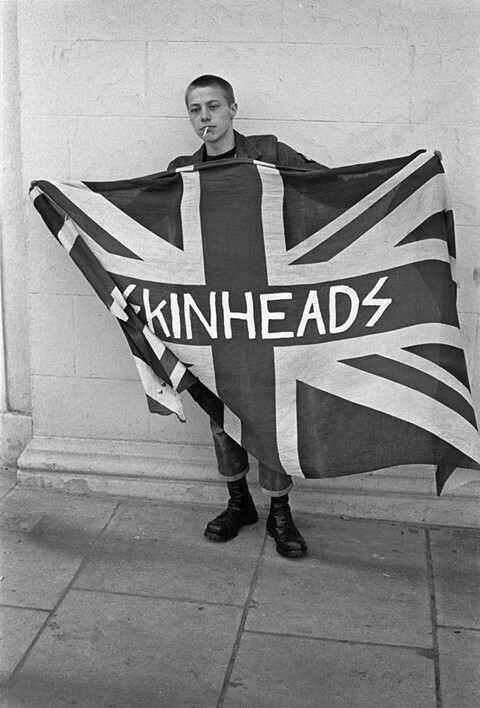 He is reminiscing about the lengthy portion of his early career – five years to be exact – spent photographing Britain’s notorious skinhead scene, the images from which have recently been compiled in a new tome: Skinheads 1978-1984, launching this Friday at The Photographers Gallery. "I thought they were art school type skinhead revivalists, or kids from a fashion college," Derek says of his first meeting with his future subjects. "I never at that point thought they were real skinheads. It wasn’t until I went with them to the seaside and I got talking to them on the train down that I realised what their ideology was. I don’t think I could put it any other way than that I was shocked by their politics and their social views, really shocked. It wasn’t like anybody that I knew to have those views, I just thought it would be a good story." Ridgers' trip to Southend alongside his newfound troupe of unruly teenage accquaintances is well documented within the book, including the moment when he was kicked between the legs and accused of being an undercover policeman – although he is insistent it was pretty clear he wasn’t. "I’m lucky enough to have a guardian angel sitting on my shoulder, it very nearly did go horribly wrong," he laughs. 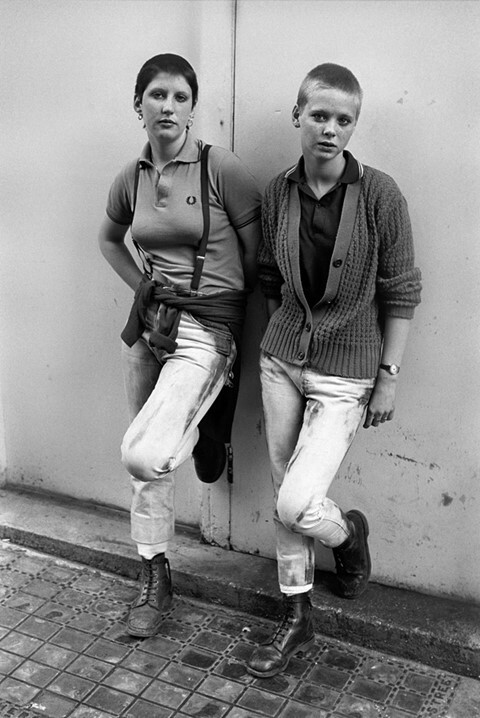 Despite going on to have a 30-year plus career, during which he has photographed the likes of Keith Richards, Johnny Depp and Clint Eastwood as well as numerous other influential British subcultures, Ridgers maintains that his time spent amongst the skinheads resonates with him the most. "It was certainly the subculture I felt I got the best photos of," he explains, "the only thing I didn’t like much was the element of theatre… It was more like a film than anything else. If someone was dressed up then I wasn’t really attracted to photographing them. I wanted the idea that someone was living that life." It is that raw realism that Ridgers captures so well in his photographs, amongst scowling portraits of impeccably dressed, shaven haired youths, there are shots of the group laughing, drinking and generally having a grand old time, something which Derek was keen to portray, given the scene's not uncommon association with outspoken politics and violence. "I never wanted to glorify anything, I just wanted to give people information. I thought if I saw them fighting I wouldn't photograph it, but I just never saw anything, no violence at all. It's unexpected but I sometimes think perhaps I was just lucky!" Skinheads 1979-1984 is available to buy now from Omnibus Press.